A bench headed by honourable Justice A R Dave yesterday allowed Italian marine Massimiliano Latorre, who along with a colleague is accused of killing two Indian fishermen three years ago, to stay in Italy for six more months on medical grounds. This happened in the absence of any objection raised by the government. The case against marines relates to the killing of two Indian fishermen allegedly by Latorre and Girone on board ship 'Enrica Lexie' off the Kerala coast on February 15, 2012. 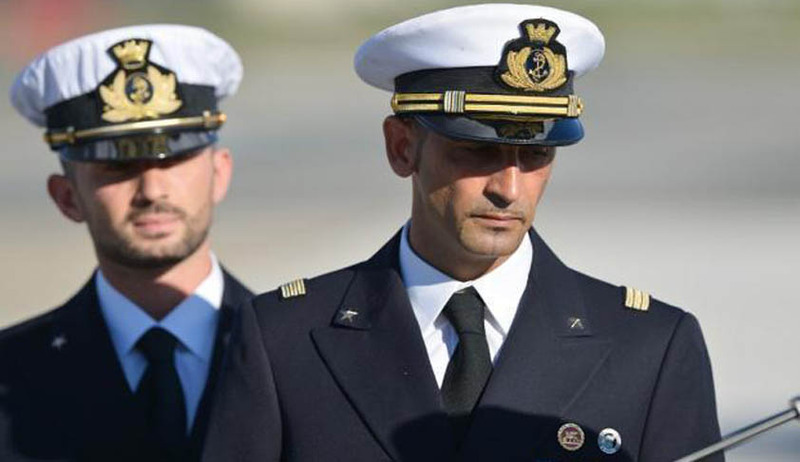 The bench also sought response from the Union of India (UOI) on a fresh plea of Italian government that it has invoked international arbitration against alleged territorial jurisdiction of India to try its marines -- Latorre and Salvatore Girone, for the offence of homicide. Appearing for UOI, Additional Solicitor General (ASG) P S Narasimha, told the bench that India, being a signatory to the International Convention, would participate in these arbitration proceedings.The ASG also said that India had jurisdiction as the alleged offence had taken place in the Indian waters. Latorrehas been asked to file an undertaking that he would abide by its conditions within a week and ordered that the six-month extension would start from July 15. The bench also comprising Justices Kurian Joseph and Amitava Royasked the government to file its reply to the fresh plea of Italy within two weeks and gave two weeks after that to the Italian government to file a rejoinder, if any. On April 9, the court had grantedLatorrethe permission to remain in Italy for three more months till today on medical grounds.It had also asked senior advocates Soli Sorabjee and KTS Tulsi, appearing for the marine, not to delay the hearing of the petition by which the jurisdiction of the National Investigation Agency to probe the case has been challenged. Tulsi had submitted that the plea challenging NIA's right to probe the deaths was filed as the Centre, in an affidavit, had said that the Suppression of Unlawful Acts Against Safety of Maritime Navigation and Fixed Platforms on Continental Shelf Act (known as SUA Act) does not apply in the case. Latorre, who had suffered a brain stroke on August 31 last year, was relieved by the apex court on September 12 last year to go to Italy for four months. Read the Scholarship policy here.